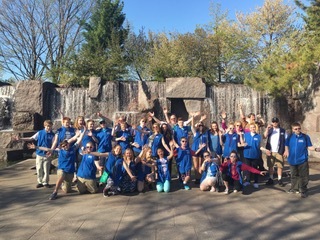 Every year throughout the school year, local 7th and 8th grade students from throughout Cheshire County and beyond prepare to connect their learning with hands on, eye witness travel back into history through both the New England and American Heritage tours. In 7th grade students research and present information about various stops along the New England Heritage Tour. We visit Charlestown, Boston, Plymouth, New Bedford, Newport along with Lexington and Concord. They learn about the settlement of the Massachusetts colony, early days of the Revolutionary War, the whaling Industry and the golden Age of Industrial America. 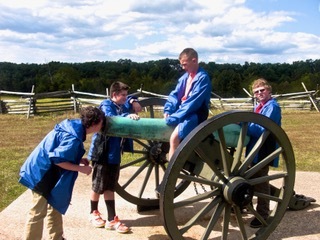 The following year as 8th graders, they bring their learning another step forward and delve into the lives of our Patriots who forged this country, the soldiers who died fighting in the Civil War, and the inner working of our government. 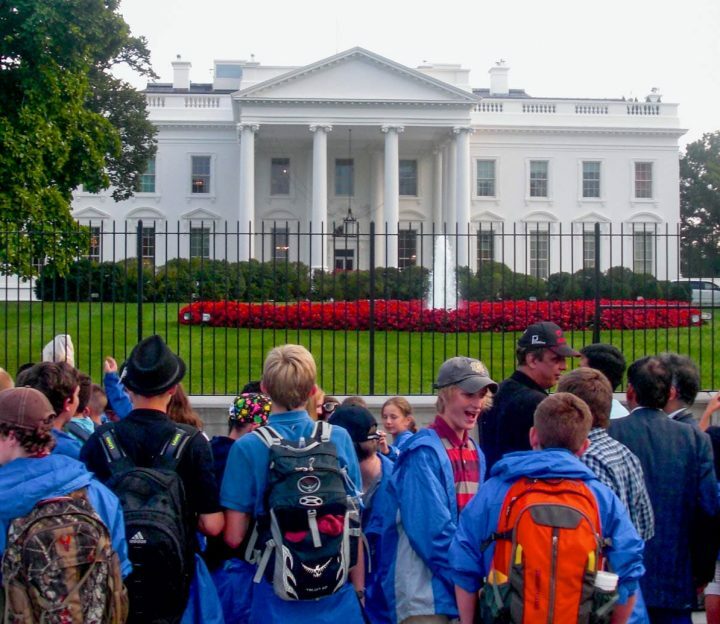 We travel to Philadelphia, Gettysburg and Washington DC. All the while they are studying the academics, they are also learning the art of collaboration and cooperation; respect for each other and a new sense of responsibility. For many of these students this is their first time leaving New Hampshire or the New England area. For some it is their first opportunity to stay in a hotel and get their first taste of real travel. I have been lucky enough to be part of this amazing program for last 18 years. Traveling for the first time with my daughters and son I was bitten by the Takodah Heritage Tour “bug”. This spring I will be traveling with my granddaughter as she joins the Jaffrey Rindge 8th Grade American Heritage Tour. The opportunity that this travel program gives to both students and adults is something that they remember for many years. Volunteers have seen students who suddenly understand how the history really is made from simple people taking a stand and they then go on to become active in local community endeavors and politics. They learn what it means to have a voice and that many things can be accomplished when you work together. 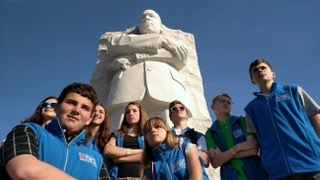 Students develop relationships with the adult chaperones that carry back into the community and last for years to come. 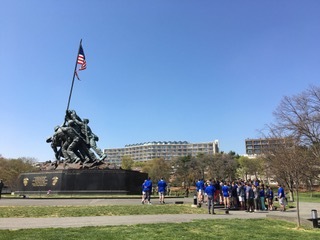 Years ago as we stepped off the bus at the Marine Corp Memorial, one of the students paused and looked out at the view. From the Memorial you could look back and see the Lincoln Memorial, Washington Monument and beyond that the Capitol building. The sun was setting and gave a rosy glow to the sky. She turned to me and said, “Mrs. B. I always knew this was a real place but I never realized how important it is to us and how important we are to this place.” For a few moments we just looked then turned and walked over to hear a presentation. I will never forget that and I am honored to be part of the Heritage Programs with the Takodah YMCA.